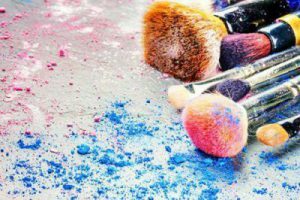 Blog Are Your Dirty Makeup Brushes Safe to Use? 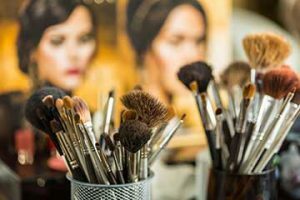 Are Your Dirty Makeup Brushes Safe to Use? Clean brushes are key to good makeup application as well as your health. Dirty brushes can harbor bacteria and cause skin irritations. Do you suffur from acne breakouts? Did you know that using dirty makeup brushes can cause all sorts of issues, including acne problems? Look at your brushes. Are your brushes safe? I think that keeping your brushes clean is just as important as washing your hair, if not more so. And coming from me, the clean hair freak says a lot. How many of you love Dry Shampoo? How many of you believe in waiting days on end to wash your hair? If you are like my daughter, then it is literally your best friend. Am I right? Ok, but eventually you do wash your hair. I doubt you go a month in between washes. So why would you wait a month or more in between washing your makeup brushes? Think about it for a minute! Your makeup brushes are touching your face. Do you use the same pair of underwear for a month? NO!!! So why would you use the same dirty brush on your face day after day? Exposing your skin to all sorts of things, including bacteria and worse. They can actually cause skin irritations and lead to acne issues. Did you know that if not cleaned regularly makeup brushes can hold and spread all types of bacteria? It’s true! Do you struggle with it? Do you constantly clean your face and work hard to maintain healthy skin? Why would you even consider using a dirty, possibly germ filled brush to apply your makeup? Think its not hurting anything? WRONG! You have just clogged your pores with all that dirt and grime. But who needs a clean face right? Were you aware that the common cold and even cold sore virus can live longer on dirty makeup brushes? YUM YUM! Still want to powder your nose with that possibly virus infected brush? No need to wonder why you are sick again! Just like a virus, bacteria can survive for long durations on dirty brushes. Bacteria infections that could actually lead to more serious infections like staphylococcus (staph) if it were to come into contact with an open sore. What about Pink Eye? Waiting for weeks or even months to clean your brushes allows them to become stiff and filled with oils, germs and bacteria. The bristles can become oily and transfer the residue to your skin, often causing redness and irritations. It can make your skin appear older and even dull. So, unless you think dull and lifeless is a good look, maybe you should consider cleaning your brushes a little more often. Are you grabbing your brushes to clean yet?